Values Partnerships has been leading a nationwide casting tour supporting minority entrepreneurship and recruiting diverse voices to pitch on the hit ABC show Shark Tank for more thanÂ threeÂ years. Now the duo of Joshua DuBoisÂ and Brandon Andrews of Values Partnerships are working with their longtime friend Mark Burnett and TV personality and businessman Steve Harvey on a new business show that is aimed at entrepreneurs and inventors. They are looking for new ideas, interesting products and services, and existing small businesses to pitch to a live studio audience. 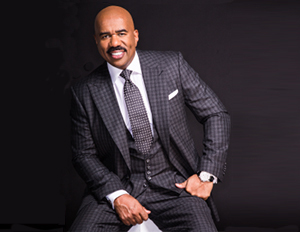 The television series, Steve Harvey’s Funderdome, brings together rival entrepreneurs who competitively pitch their ideas head-to-head in front of a live studio audience. The audience then votes on which entrepreneur will receive funding for his or her idea. Harvey, who will serve as host, will become the “funder of dreams,â€ as he brings his personal business experience and encouragement. Budding and current entrepreneurs can win $10,000 to $100,000 to start or grow their businesses if they can convince a live studio audience that they deserve to be funded. In addition to existing small businesses, ideas that have yet to gain traction or funding are welcome to compete, says Andrews. “I’m thrilled to have another passion project on the ABC schedule. This is just the type of show that gives folksÂ a vehicle to breathe life into their dreams,â€ said Harvey in a released statement. The show joins the latest lineup of reality television programming designed around entrepreneurship with a funding component including CNBC’s The Profit and NBC’s up-and-coming series Funded, co-staring Tyra Banks. Values Partnerships is a Washington, D.C.-based firm that helps foundations, nonprofit organizations, and private companies partner with faith-based, ethnic, and other grassroots influencers. 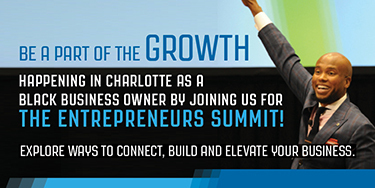 “We engage with thousands of entrepreneurs each year; access to capital is the No. 1 issue for entrepreneurs of color. The ideas are there, a new opportunity for entrepreneurs to receive funding to start or grow their businesses is exactly what our communities need,” Andrews told BlackEnterprise.com. For Harvey, this comes off the success of Little Big Shots, which ranks as the biggest reality broadcast launch in nearly five years. He also hosts Celebrity Family Feud, which was a surprise hit for ABC last summer and was renewed for a second season. Harvey is arguably the hardest working man in show biz, adding The Miss Universe Pageant iconic brand to his hosting rÃ©sumÃ©. Harvey’s highly anticipates the show will begin taping in fall 2016 with the premiere soon to follow. ABC has ordered 13 episodes of the series to debut later this year. To apply to ABC’s new business competition program,Â click here.